Rare Kathrine Bauman purse marked #45 out of 2500 from 1990 authorized by the Coca-Cola Company. 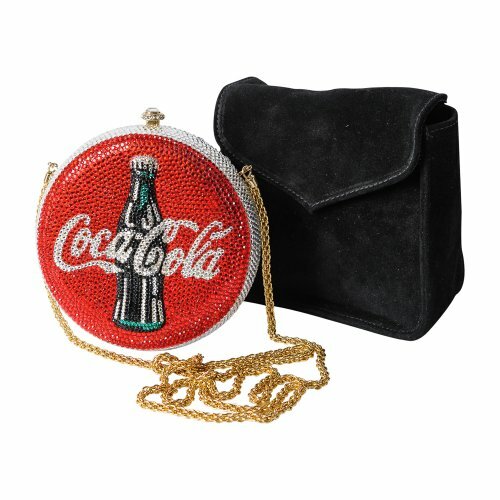 This retired hard shell Coca-Cola purse was carefully hand beaded with the finest Swarovski crystals to create a shimmering red, black, and clear pattern of a Coke bottle. It also includes a matching compact.